Le deuxieme jour etait fun Avec la pluie, la neige, la montée puis les différentes arrivées aux campement etc. Les hot springs furent tres chauds. Le trek etait super, notre guide lito etait genial et il nous a bien decrit les differentes plantes et animaux. Les paysages etait super et la pluie du deuxieme jours ne nous a pas refroidit. La nourriture etait bonne il manquait cependant de quantite le midi. 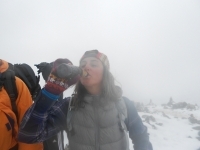 Overall the trek was amazing! We had bad weather the 2nd day, so we were unable to see the actual Salkantay peak which was a bit disappointing but otherwise had a great experience. The final day at Machu Picchu was incredible, and definitely made it worth waking up at 4 am. Beautiful views and an overall challenging but amazing trek. Unbelievable to go from hail to sleet to snow to rain to sunshine in 16 hours. Playing cards with local kids was awesome and bonding with your fellow trekkers. The trip was amazing! 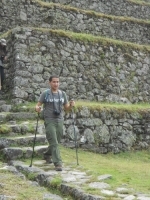 Our guide, Carlos, was really friendly and knowledgeable about the Inca culture. We learned a ton from him. 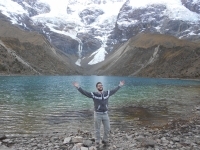 The views were outstanding and Carlos even took us to places not normally on the trek as an added bonus (Salkantay Lagoon was beautiful !). 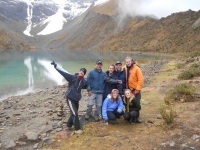 I hiked the Salkantay trail with a group of 4 friends, all recently graduated law students. 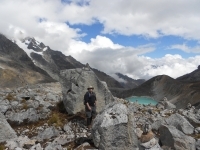 The terrain and altitude were challenging, and left me with a sense of accomplishment after we summited the highest section of the trail, which is about 4,630 meters above sea level. 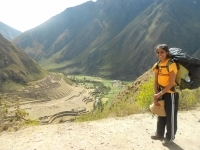 This Inca trek was a wonderful experience that I will never forget. It offered a great workout and beautiful views of the forest, jungle, and mountains, and rivers. 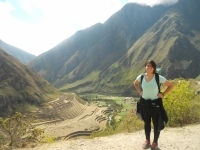 I got to see how beautiful Mother Nature really is with the Inca hiking trek. 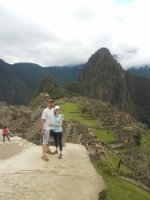 My Machu Picchu adventure was incredible and indescribable! I have learned so much about the wonderful culture, about nature, and about myself. It has been such a life changing experience in which I accomplished more than I ever imagined possible. Loved it! Hilton and Paul were amazing! Thank you for everything and providing fantastic and personal service! 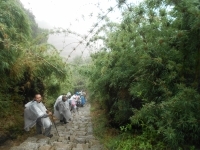 They were very knowledgeable about the history of the trail which was the best part for me. I loved learning more about the special effects of the trail. 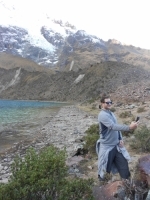 From the moment I planned this trip, Inca Trail Reservations has been very helpful in answering my multiple multiple questions and requests. They made sure we were all prepared in regards to what to expect for weather, snacks, gear, etc. 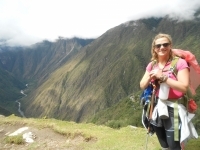 Pictures only do so much for the imagination in Peru, especially when trekking on the Inca Trail. You must go there to see it in person! It truly is a special journey that changes your life and the only way to experience it is by walking the original trail.